I’ve asked my students to come up with examples of news stories that reflect the View from Nowhere — an idea advanced by New York University journalism professor Jay Rosen that, to oversimplify, amounts to “he said/she said” objectivity in its most mindless form — and to balance that with a second story demonstrating the View from Somewhere. Since some of my students seemed a bit bewildered by the assignment, I thought I’d give it a try. My example is an announcement made on Wednesday by the Environmental Protection Agency and the U.S. Army Corps of Engineers. The two agencies have issued a new set of rules aimed at protecting small streams under the federal Clean Water Act. The rules are a reaction to a 2006 Supreme Court ruling that cast the government’s regulatory authority into doubt. WASHINGTON (AP) — New federal rules designed to better protect small streams, tributaries and wetlands — and the drinking water of 117 million Americans — are being criticized by Republicans and farm groups as going too far. And so it continues, with Democrats defending the new rules, Republicans criticizing them and advocacy groups on either side of the issue weighing in. Yes, there’s some explanation along the way, but you never get an entirely clear sense of what the rules would actually do. Rather, it’s a political story, played out against the backdrop of partisan Washington. The informational needs of an ordinary member of the public are scarcely addressed. Nearly a decade after the Supreme Court pointed out the confusion over exactly which waters fall under the Clean Water Act, the Obama administration responded Wednesday with a new rule that states what is protected and what is not. 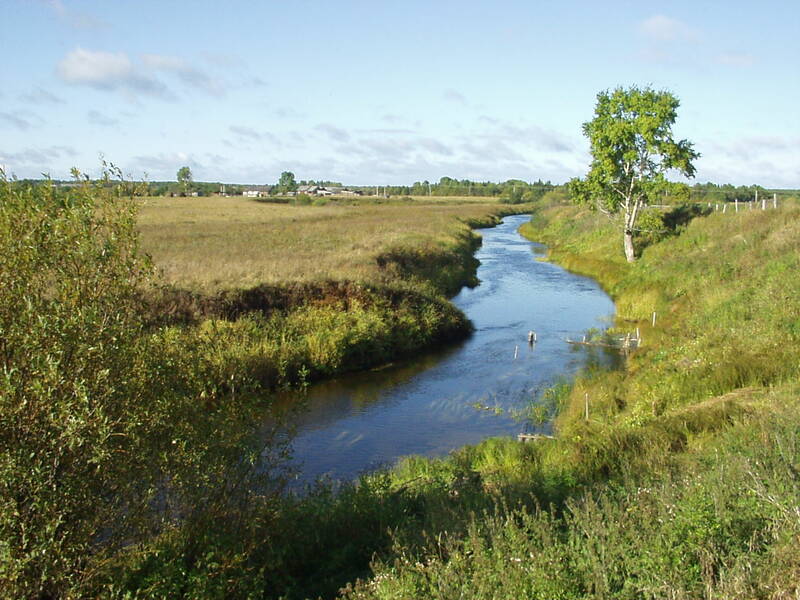 Navigable tributaries, as well as the rivers they feed into, are protected because the flow of streams and creeks, if polluted by farming and development, could affect the health of rivers and lakes, the rule states. Farther down, Fears veers into the partisan battle, quoting an opponent, U.S. Sen. James Inhofe, R-Oklahoma, chairman of the Environmental and Public Works Committee, as well as the White House response. The story is also interspersed with tweets from elected officials. But partisan politics are not entirely unimportant, as congressional Republicans could overturn the new rules. Overall, Fears shows how to write a story that embraces the View from Nowhere while still managing to provide a coherent explanation of what happened and why. Everyone wants clean water, but not everyone agrees on how to make sure it stays pollution-free. The Clean Water Act is one of the most successful pieces of environmental legislation in American history: Forty years ago, only a third of the country’s lakes and rivers could support fishing or swimming. Now two-thirds do. But when a bill for the CWA was offered up in 1972, Richard Nixon vetoed it, complaining that it would cost too much. It took a bipartisan congressional override to enact the law. Controversy over the CWA continues, and a particularly ambiguous phrase in the law has been a perennial source of legal trouble. The CWA compels the Environmental Protection Agency and the U.S. Army Corps of Engineers to protect the integrity of the “waters of the United States.” Industrial interests argue that a reference in the text of the law to “navigable waters” limits federal jurisdiction to waters you can boat on. This has let them get away with discharging pollution into smaller waterways. Regulators disagree, since pollutants in these waterways drain into and threaten larger navigable waters, too. OK, I’ll concede that Deng is leading with background information, which is generally thought of as not the best way to structure a story. But this is a really complicated issue. Thanks to Deng’s explanation, you now know exactly what it’s about before she asks you to jump into the deep end. One characteristic about the View from Somewhere that can be difficult to get across is that though journalism with a point of view is sometimes opinionated, it doesn’t have to be. Deng takes a first-person stance and expresses the point of view that clean water is, in fact, a good thing. But she does not state an opinion as to whether the regulations that were then being considered were the best way to accomplish that goal. This isn’t opinion journalism. Her point of view is her expertise, which she earned by going out and doing the reporting. Democracy for Dewey meant not a system of government but a society organized around certain principles: that every individual has something to contribute, that people are capable of making their own decisions, that given the chance they can understand their predicament well enough to puzzle through it, that the world is knowable if we teach ourselves how to study and discuss it. Time and again Dewey argued that to be a democrat meant to have faith in people’s capacities, whatever their recent performance. Stories such as Deng’s Slate article may not conform to the old rules of objective journalism. They may not embrace the View from Nowhere. But they tell us a lot more about what we need to understand public policy — about what our government is doing for and to us — and, thus, it provides us with information we need to govern ourselves. Photo by Sergei Rubliov is in the public domain. @Emily: I sure will. And I just posted a link to your comment on the class website to give them some additional incentive.